The film opens with a black family sitting around the dinner table. Mother – Lisa (played by Regina Hall), father – Mav (Russell Hornsby), a teenage boy – Seven (Lamar Johnson) and 16-year old girl – Starr (Amandla Stenberg) as well as a young boy – Sekani (TJ Wright). The father is giving the kids ‘the talk’. Mum tries to brush it off, save it for another day. But dad is insistent. He’s determined to protect his children. So, he asks them again. What do they do if they’re in a car that gets stopped by the police? All three kids know the answer. And show him. They put their hands on the imaginary car dashboard. They don’t move an inch. Do absolutely nothing to give a policeman any reason to get nervous and start shooting. Yes, we’re in the United States of America. Mav and Lisa were childhood sweethearts. Apart from one small hiccup, when they broke up for a short while, they’ve been together for donkey’s years and their love for each other and their family is rock solid. The only thing they disagree on is where they live. Lisa wants to get out of their neighbourhood, Garden Heights, to escape the violence. Whereas Mav believes in staying faithful to your roots and your community. So, they’ve stayed put – but compromised by putting Starr into Williamson Prep, a private school in a posh district. A school where the kids don’t carry weapons, like they do in Garden Heights. Starr’s a smart cookie, works hard, can get on with anyone and fit into anywhere. But it does mean that she leads two different lives, using two different personas. There’s ‘Garden Heights Starr’ and ‘Williamson Starr’. At school, she has a great gang of girlfriends and a lovely, adoring boyfriend. All of whom are white. That isn’t really a problem – although, she has been putting off taking her boyfriend home, despite his numerous requests to meet her parents. One weekend, after Starr’s old friends from home have been teasing her about her ‘other life’ and never hanging out anymore, she agrees to go to a house party with them. There she bumps into an old friend, Khalil, her first ‘boyfriend’ when she was growing up. Just as they’re catching up, gunshots ring out and everyone at the party scatters. Khalil gets Starr into his car and drives them both away. Once they’re at a safe distance, they relax and start talking, reminiscing and enjoying each other’s company – until they’re pulled over by police. What follows sets off a massive chain of events that forces Starr to decide how far she will put herself in danger to fight for justice for her friend, whilst also drawing out the casual racism of some of her Williamson friends. It shines a blindingly-bright light on the impact of police brutality and of violence from members of the community, plus demonstrates how unconscious bias can sneak into everyday thinking. Throughout the film, Mav is a man put to the test. Giving all he’s got, trying to protect his family from both the police and the local gangsters, and all the while also trying to set a good example for them. In turn, Starr’s double-life comes to a head, as it becomes impossible for her to keep the two strands separate – whether she wants to or not. To say that this film is ‘deep’ feels trite. But it really is. I hadn’t heard of Tupac’s THUG life philosophy before this. I’m ashamed to say I never realised that’s what it meant, and had simply assumed that he was glorifying the gangster life, when actually it was the opposite. No wonder people think he was a genius. 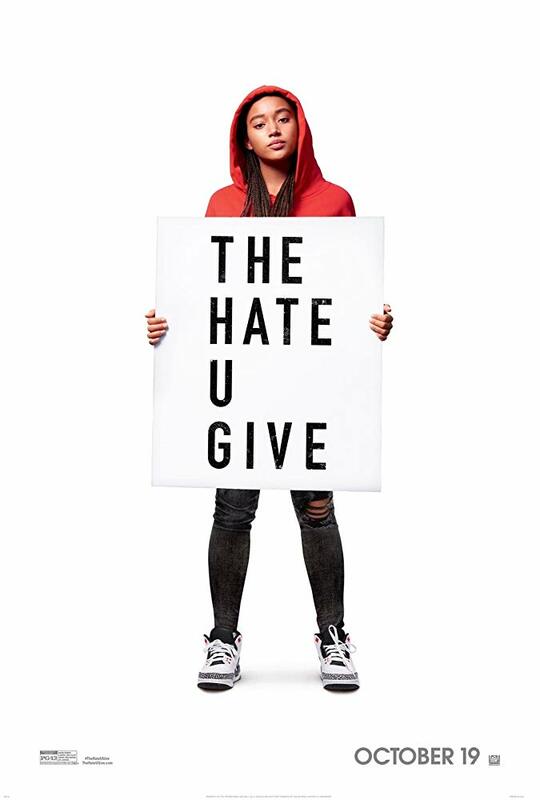 The Hate U Give is packed full of emotion and the message it carries couldn’t be stronger or more poignant. Yes, there is much joy and positivity to be got from the family life that we see Lisa and Mav give their kids, and the friendship and young love that Starr has with her mates and boyfriend. But, ultimately, this film is filled with moments of raw fear, anger and heartbreak. Moments that will make you want to march. Moments that will make you want to cry. 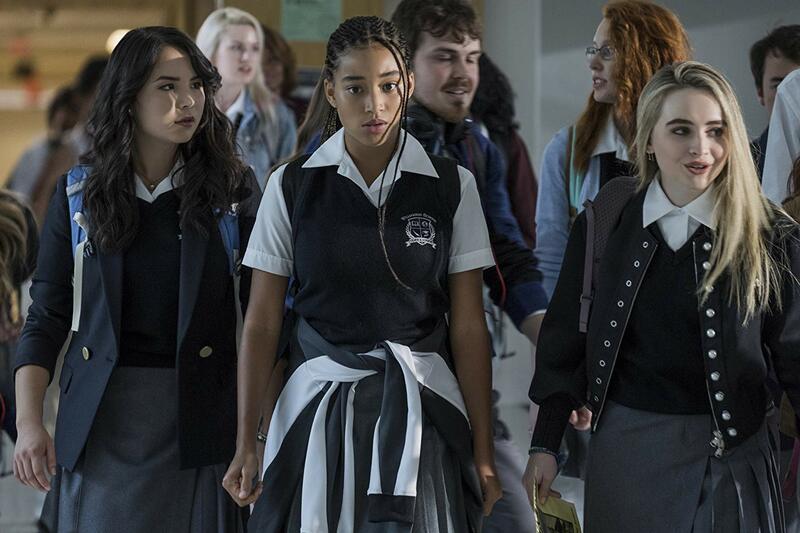 Beautifully directed by George Tillman (who also directed The Inevitable Defeat of Mister and Pete, which I reviewed five years ago and loved) the cast is outstanding, in particular Amandla Stenberg as Starr and Russell Hornsby as Mav. But, really, I could name them all. Interestingly, this screenplay – written by Audrey Wells – is based on a young adult book of the same name, by Angie Thomas. Right now is where’d I’d normally quip that ‘that young people have never had it so good…’ but, after watching this, you realise the multitude of pressures and influences they face. And the responsibility we adults have to do better by them. 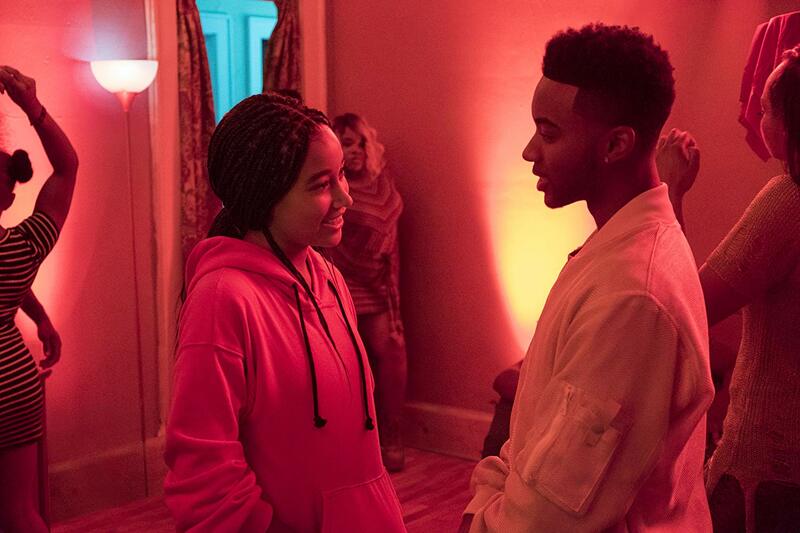 This entry was posted in America, Film, Latest News, London Life, Review and tagged Algee Smith, Amandla Stenberg, Angie Thomas, Audrey Wells, gangster, George Tillman, K.J. 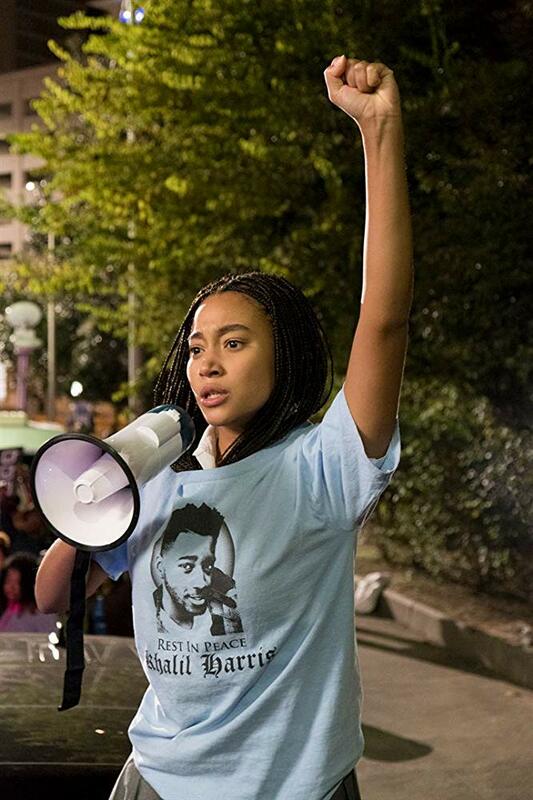 Apa, Lamar Johnson, police brutality, racism, Regina Hall, Russell Hornsby, The Inevitable Defeat of Mister and Pete, THUG, THUG life, TJ Wright, Tupac. Bookmark the permalink.